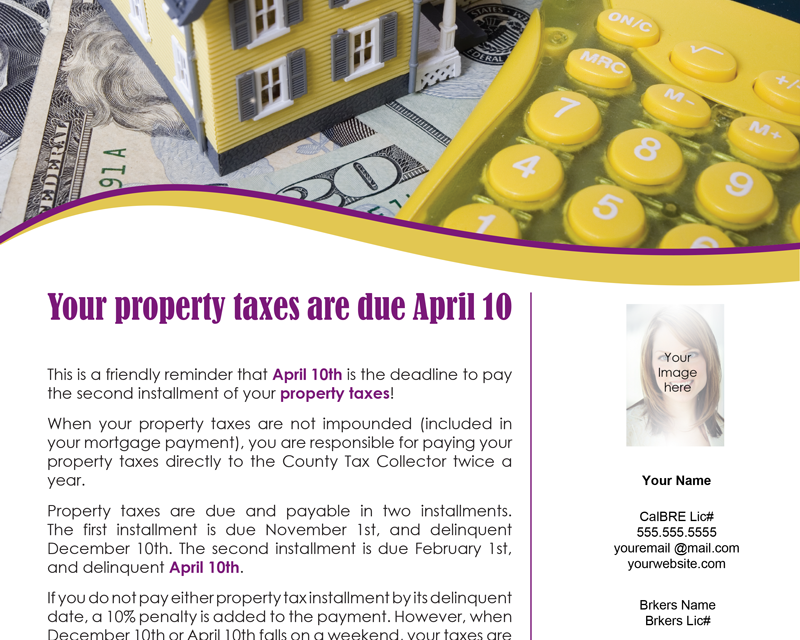 This is a friendly reminder that April 10th is the deadline to pay the second installment of your property taxes! 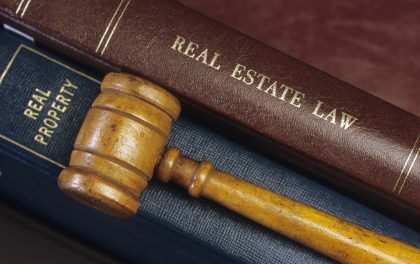 When your property taxes are not impounded (included in your mortgage payment), you are responsible for paying your property taxes directly to the County Tax Collector twice a year. 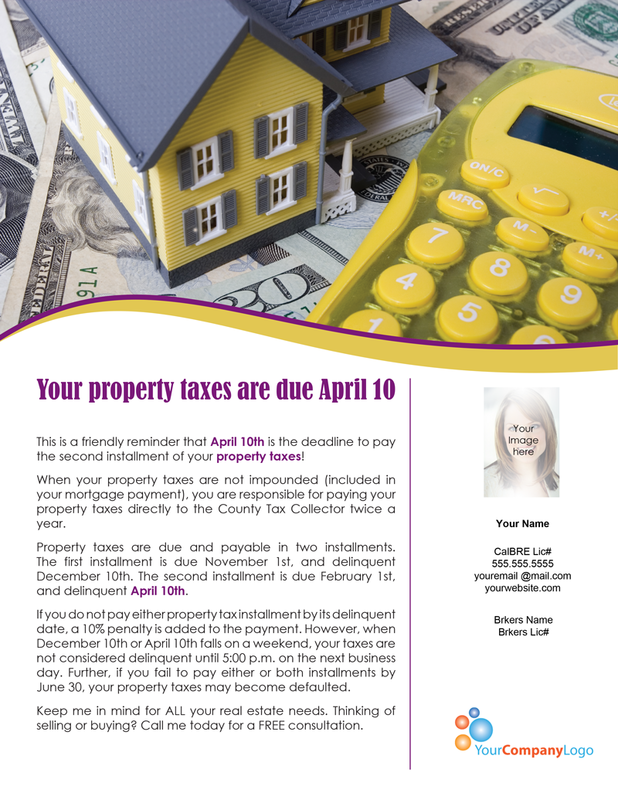 Property taxes are due and payable in two installments. The first installment is due November 1st, and delinquent December 10th. The second installment is due February 1st, and delinquent April 10th. If you do not pay either property tax installment by its delinquent date, a 10% penalty is added to the payment. However, when December 10th or April 10th falls on a weekend, your taxes are not considered delinquent until 5:00 p.m. on the next business day. 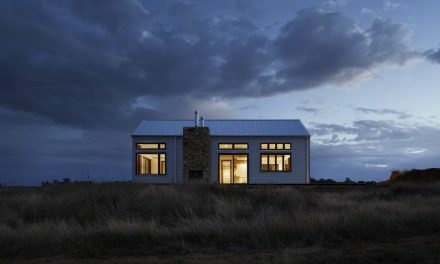 Further, if you fail to pay either or both installments by June 30, your property taxes may become defaulted. Keep me in mind for ALL your real estate needs. Thinking of selling or buying? Call me today for a FREE consultation.